Whether you love them or hate them, dandelions are among the most familiar plants in the world. They’re one plant that just about anyone can identify at a glance, and are, quite possibly, the most successful The dandelion is a perennial, herbaceous plant with long, lanced-shaped leaves that are shiny and hairless. Also, known as the Taraxacum, the dandelion is native to Eurasia and North America. While many think of the dandelion as a pesky week, herbalists consider is a valuable herb that be eaten. Did you know dandelions are rich in vitamins A, B complex, C, and D, and are used to add flavor to salads, sandwiches and teas? Dandelions are good for your lawn. The bright yellow flowers form white puffballs containing hundreds of seeds that are dispersed by the wind. Every plant is capable of producing hundreds of seeds that will multiply around your yard and neighborhood. Winds will carry and spread the seeds over several miles and germinate throughout the growing season. Dandelions will flower in the spring and again in the fall. The best time to destroy them is right after they flower. Flower and producing seeds takes a lot of energy, when dandelions have finished blooming they are weakened by low food reserves in their taproots. This is the best time to physically remove by hand weeding or digging. Make sure the soil is moist during digging or pulling, and remove as much of the taproot as possible. You might have to dig a dandelion several times before it quits re-sprouting. Contact your local lawn care professionals on which chemical herbicides to kill off dandelions in your yard. 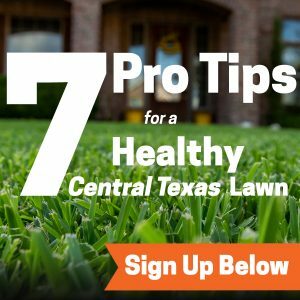 Call Emerald Lawns at (512) 990-2199, or contact us online for information.